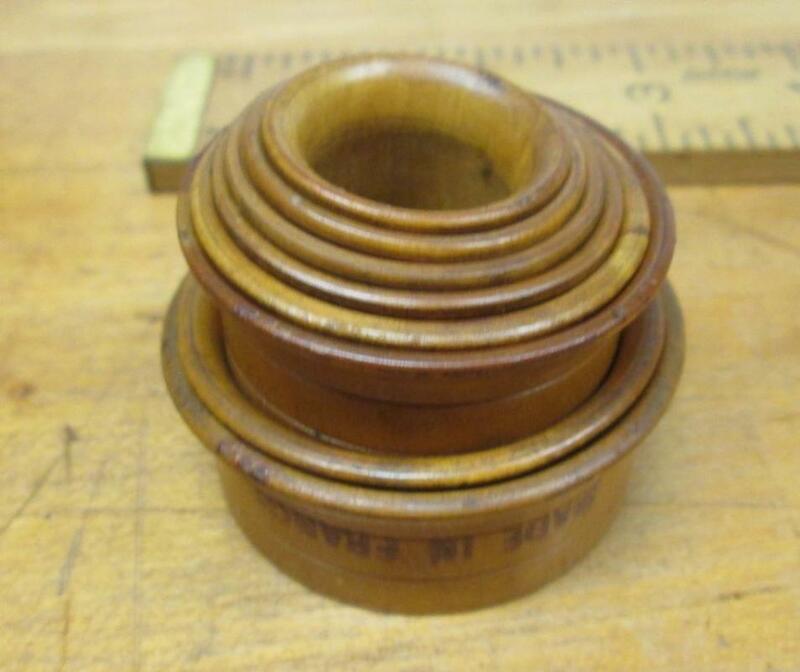 This is a nice vintage set of what appears to be bakelite rings that are used to press new crystals into pocket watches (judging by the sizes of these). So these rings will support the crystal evenly to prevent damage. As you can see, most of the sizes fit inside the larger size, the smallest being .73" inside diameter, the largest being 1.725" inside diameter. They are each .77" tall and each one has a radius inside and a flange ring on the outside which is about .13" diameter larger than the smaller outside diameter. There is a total of 8 included in this set or group, the 1.125" ID size has two cracks and appears to have been repaired, but is solid one piece, all the others are in great shape. 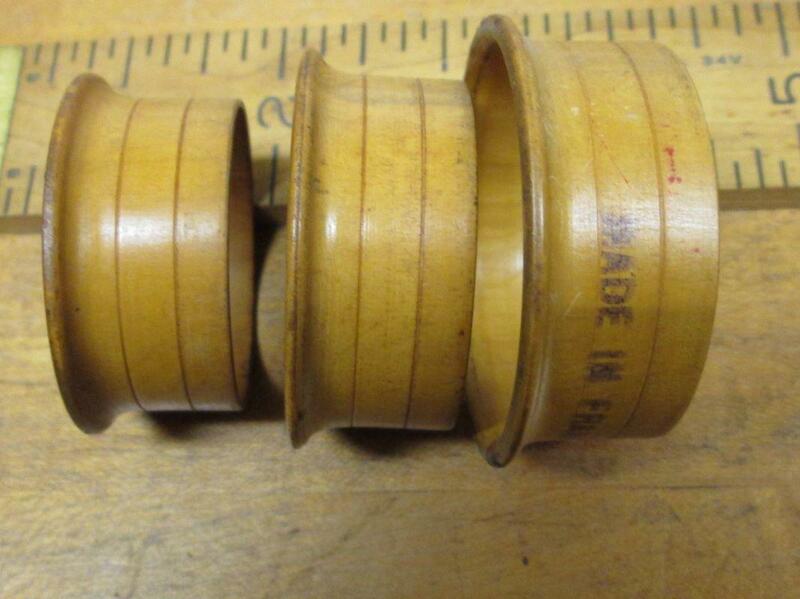 The largest of these is marked "MADE IN FRANCE" on the outside diameter. If you know or believe you know what these rings were used for, please email me and let me know. Thanks. Items Similar To "Watch Crystal Support Flange Ring Set Bakelite"
Mayes Orbit Level No. OR Made in U.S.A.